I suspect most readers have heard the story of Louis Zamperini from either the best-selling book by Laura Hillenbrand or the major motion picture that chronicles his life. Both are titled Unbroken. Zamperini enlisted in the United States Army Air Corps in 1941 and was stationed in the south Pacific as a bombardier. While on a mission searching for a lost bomber, his plane crashed killing eight of the eleven men onboard. After surviving the crash, Zamperini and two others drifted on two small rafts in the open ocean for more than a month and half. During that time, they drank only small amounts of rainwater and ate small fish and birds that landed on their raft. They fended off numerous shark attacks, nearly capsized in a storm, and were strafed multiple times by Japanese bombers. One of the three men died on the 33rd day of the ordeal. After 47 days, Zamperini and the other man, Russell Phillips, landed in the Marshall Islands, but their story of survival was just beginning. Immediately captured by the Japanese, they were held in torturous POW camps for the next two years. Zamperini endured horrific mental and physical abuse throughout his imprisonment and unconscionable torment at the hands of one of Japan’s most notorious war criminals, Mutsuhiro “The Bird” Watanabe. As the war came to an end, he was released in August 1945 and returned home to a hero’s welcome. Zamperini’s story doesn’t end here and the spiritual renewal that followed exceeds his physical endurance. But I stop here to reflect on a comparison. If we’re honest, his story is as far away as it is fascinating. At no point in reading it did I think I could replicate it. I can’t imagine spending one night on the open ocean, spending one day in a POW camp, or spending one minute on the sharp side of an executioner’s sword. His story might make the hair on my neck stand up, but it doesn’t make me think I could walk in his shoes. I love the story, but it is more likely to embarrass me than it is to motivate me. It makes me want to look in the mirror and say, “Hey cry baby, until they rip out your fingernails, you need to quit whining.” The harrowing tale illustrates perseverance in a way that only highlights my weakness. It might seem odd to compare the extraordinary story of Louis Zamperini with that of a pastor. Certainly his story is very different than ours in a variety of ways. As a pastor, I’m ill-equipped to prepare you for a survival in a life raft or in a prison camp. My keyboard fingers look more like they’ve had a manicure than done manual labor. (Just so we’re clear, I’ve never had a manicure). Most years I suffer more paper cuts on my hands than work blisters. My neck and back pain have more to do with the way I rest my arms on the mousepad than from lifting, carrying, or swinging a heavy tool. I have little to nothing in common with Louis from a physical standpoint. Yet despite the obvious differences, his story compares well with what we’re called to do in pastoral ministry. As a pastor you probably won’t float in a raft until you nearly starve to death, but you might find yourself adrift amid the tumultuous waters of financial stress, wondering how you’ll feed your family. You probably won’t face torturers who try to break you physically, mentally, and emotionally, but you will suffer the physical effects of the emotional and mental weight of ministry burdens. And your leadership efforts will, at times, chum the waters within a local congregation drawing predators to the surface. You probably won’t face all manner of insults… oh wait… you likely will face that one. You probably won’t face constant threats on your life, but you will be attacked. At times these assaults will come from those in obvious opposition to you and your leadership, but other times, they’ll arrive in the form of friends. The experiences are miles apart, but they correlate. Take nothing away from Louis and his remarkable story, but endurance is as necessary for pastors as it is for POWs. I’m not diminishing the gravity of what he faced or presuming to know what he suffered, but pastoral ministry is not for the faint of heart. Surviving four decades in pastoral ministry is just as miraculous as surviving four years in a prison camp. Neither is humanly possible; both require God’s grace and power. One could even argue that surviving in ministry is more remarkable because the battle behind it is supernatural and not natural. I’m not going to argue this with a POW, but I think you get the point. 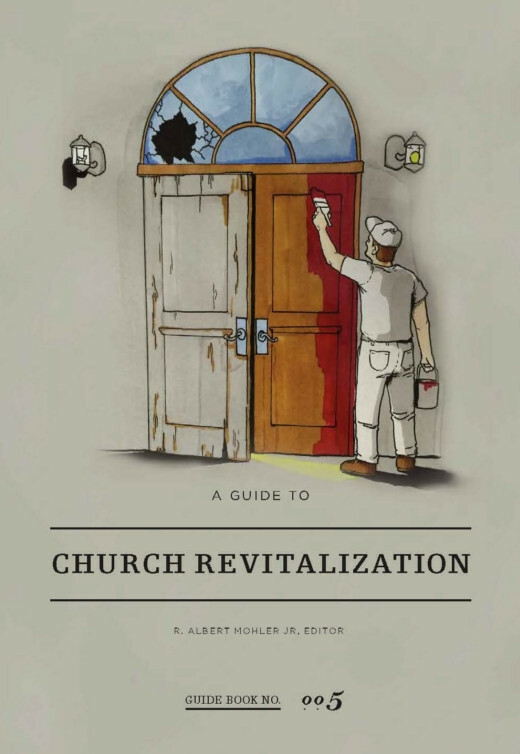 The difficulties in pastoral ministry combine to call for a word to encourage and equip a generation of pastors to labor with endurance in all fields, but especially in the difficult ones of church revitalization. In these contexts, God’s Word is often not very popular and endurance in ministry is not humanly possible. Shepherding in these fields will mirror Isaiah’s experience of preaching to deaf ears in seasons of stagnation and even decline. These pastors will empathize with Paul’s description of his ministry in Macedonia: “fighting without and fear within.” Yet, hope is not lost, and perseverance is possible. If you know this struggle firsthand, receive two words of encouragement. First, the trials associated with pastoral ministry are not new and you’re not alone. Throughout the scriptures and church history, faithful pastors have labored under the weight of hostility, apathy, and adversity. These three categories encompass most every specific circumstance in one way or another. Hostility or active aggression toward God, his word, and/or the pastor confronts most who lead a church toward change. Apathy or indifference toward God, his word, and/or the pastor awaits those who lead in places where the status quo is comfortable. Adversity or a wide variety of personal and family burdens, church-related emergencies, and community catastrophes will inevitably arise. Thousands of faithful brothers – some well-known and most entirely obscure – have labored through hostility, apathy, and adversity. None have faced your specific trial or circumstance, but they’ve preached to blank stares, dodged grenades from opponents, taken friendly fire, and persisted amid internal strife. Every season and every trial comes by the sovereign and gracious hand of God. Each is instruments for his work in you. God progressively sanctifies each one of his children – including pastors – shaping us into the image of His Son. The struggles of pastoral ministry, therefore, are key tools for this work in us. He will use even these hostile members, apathetic listeners, and adverse circumstances for your good and His glory. To borrow from James 1, “Count it all joy, my brothers, when you meet [these] trials” knowing that they will produce a harvest of fruit in you. Imagine your average Monday morning. How would you describe your state of mind? Feel like you’re lying in a raft in the middle of the ocean clinging to life? Did you barely manage to escape the strafing by the enemy and the “friendly fire” yesterday? Feel like their prepping for another attack? Do you feel alone? On an island surrounded by people, but without a friend? Feel like a complete failure? Disappointed in yourself because of yet another subpar sermon? Do you feel beaten and battered? Overwhelmed with stress that has nothing to do with the previous day? Regardless of your state of mind, perseverance is possible because pastoral ministry is a Holy Spirit-empowered, God-honoring, Christ-exalting work. The Lord of Sunday is still the Lord on Monday. Your circumstance has come by His gracious and sovereign hand and these trials are for His purpose in you. He is building his Church and making you blameless at the same time. Don’t lose hope, for the One who has called you is faithful, and he will surely do it. Editor’s note: This article is an adapted excerpt from a book co-authored by James and Brian Croft, Facing Snarls and Scowls, published by Christian Focus and scheduled for release in June 2019. James Carroll serves as the Senior Pastor of Parkway Baptist Church in Bardstown, Kentucky. He has written Collateral Damage as well as co-writing a forthcoming book Facing Snarls and Scowls.